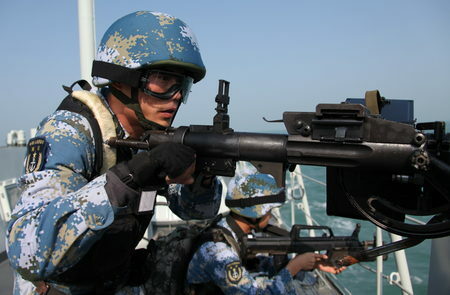 China is most known these days for its American cowboy Manifest Destiny-style expansionism in its neighboring seas, particularly in the Southeast Asia Sea (sign the petition to change the name to the Southeast Asia Sea: https://www.change.org/p/change-the-name-south-china-sea-to-southeast-asia-sea). Everyone knows the extent at which China is attempting to expand, including China’s construction of islands with airstrips, attacking of Vietnamese fisherman, and their placing of the “nine-dash line” on new Chinese passports and on every single published map (even to revised ancient maps!). 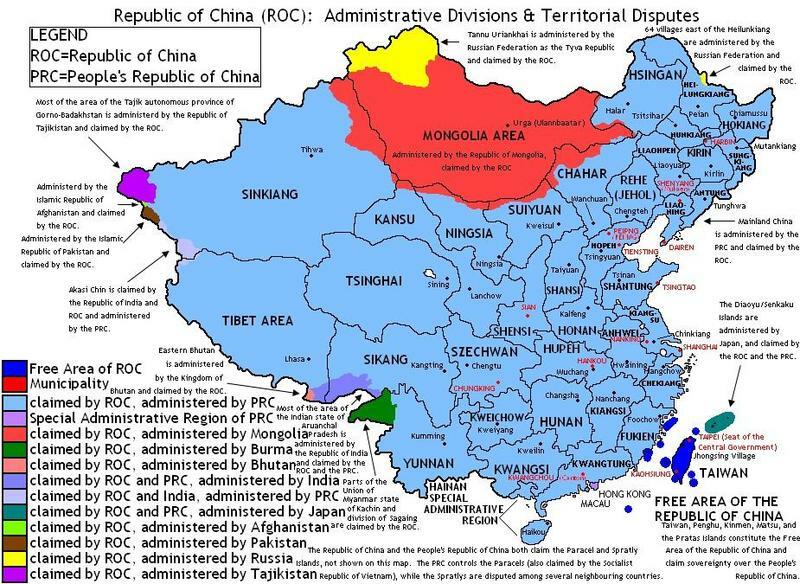 What most do not know is that China has been disputing territory since 1949, when the Chinese Communist Party took control, with a total of twenty-three disputes. China has more nations bordering its territory than any other country. The 14 nations are: India, Pakistan, Afghanistan, Tajikistan, Kyrgyzstan, Kazakhstan, Mongolia, Russia, North Korea, Vietnam, Laos, Myanmar, Bhutan and Nepal. The total amount of land territory that has/is in dispute equals more than 234,159 km2 or roughly the size of Romania, so it is no wonder that China is willing to enter armed conflict to seize this massive amount of land. The size of the Southeast Asian Sea is roughly 3.5 million km², larger than the size of India and is resource rich, particularly in crude oil. For researchers and politicians, China poses a problem because the country is a nondemocracy and has acted unilaterally to obtain more territory in the past; however, Beijing has usually offered a compromise to their neighbors after the initial dispute. 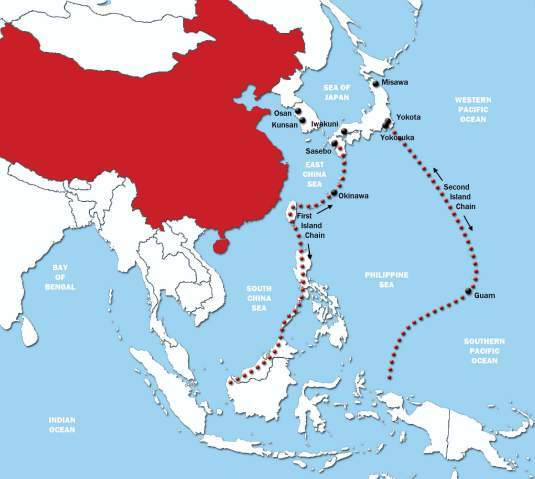 What we may see in the Southeast Asia Sea is a China that tries to bargain with the nations bordering this body of water. 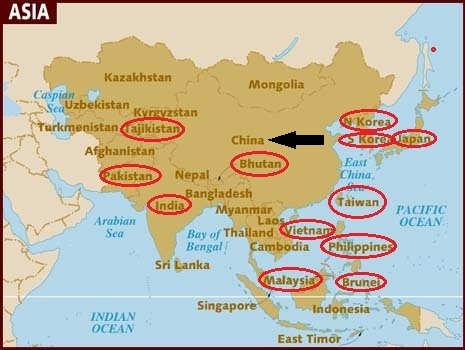 I would hope that these countries would not appease China in any way. 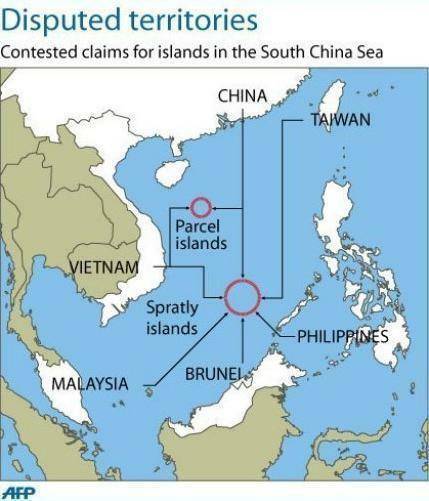 In addition, if island building in the middle of international waters is a legitimate method to gain territory then we seriously need to reconsider rewriting the international law books because as of right now, China is breaching international law. great post. PLA white papers often state “protecting sovereignty” as one of the primary things they are willing to do with deadly force. Defining what exactly the PRC is sovereign over becomes something much graver than a technicality at that point. One of the reasons they claim that it belongs to them is the infamous Zheng He who sailed all the way to Africa, according to Chinese sources. During his voyages between 1405 to 1433, Zheng He has stopped in the Southeast Asia Sea. Therefore emerges the argument by some Chinese historians that if Zheng He was capable of the trip, many Chinese people has utilized the region for trade and fishing for hundreds of years. There is a pretty tricky aspect to all of this: the Republic of China, the government with sovereignty over Taiwan and the ally of the United States, actually claims more territory than the CCP. Their claims include all of Mongolia. What happens if somehow the ROC retakes Mainland China? What is the US to do about that? I must say that such claims are always nice to see in some politcal view when running for some high position to gain more votes. However in reality such things can not be done anymore and IF it leads to troubles such as in the Ukrain now. By all means they can have all the claims they want as long as no one gets hurt!